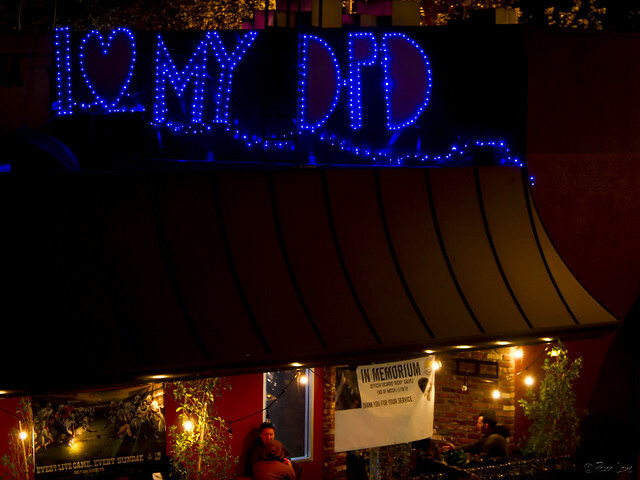 In the wake of last month's murder of Downey Police Officer Ricky Galvez, the community has come together to show their support for the police in big ways and small. One of the ways is with blue lights. 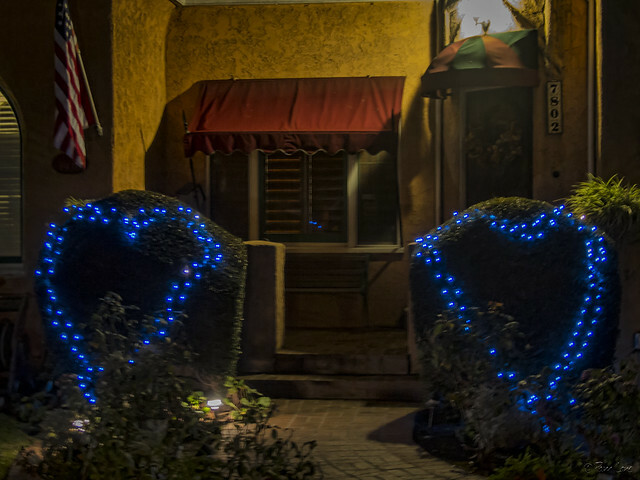 Whether it's as simple as switching out the porch light bulb for a blue light, stringing blue lights in the shape of hearts, or the full-size display above, Downey residents say "I love my Downey police department."